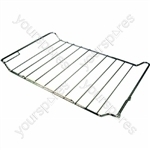 Choose a manufacturer to reveal the models that the part Creda Main Oven Fan Motor Assembly is suitable for. 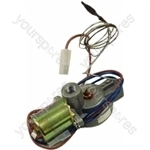 Search our range of Creda Main Oven Fan Motor Assembly C00199560 by Indesit models by entering your model number to perform a search. Write your own review of Creda Main Oven Fan Motor Assembly. 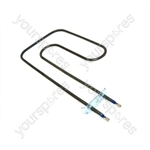 Fantastic service, fantastic price, came well packaged and saved us an absolute bomb if we couldn't get this part it would have been @ £600+ for a new cooker. Highly recommended. 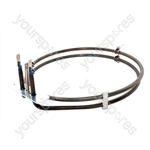 Hi, have ordered this for my oven (Hotpoint BD51) however the existing motor has a fibre type pad on it I'd assume to reduce vibration and insulate the motor from the oven. Can you advise which product I need to order. I've looked through and as there are no images of the various pads and washers I'm not sure. The fan has stopped turning in my oven. I can get it to work by putting a knife in between the back plate and the fan and knocking it when it then begins to work. I am presuming this is something to do with the motor unit?? Can you tell me if this is the correct part I would need to replace, many thanks. Sorry we cannot help with any fault finding, you would need to speak to a service engineer to help with this. 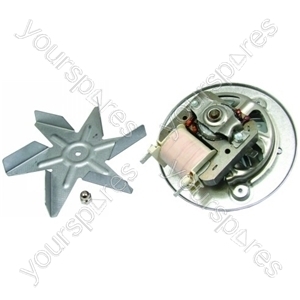 Hi, can you tell me if the above fan motor will fit an Indesit FID20IX MK2 cooker. 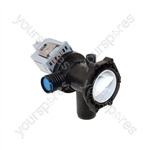 When I search there seems to be many sites offering different fans and part numbers so I need to ensure it is the correct type. 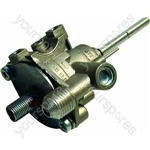 One other part number quoted is C00230134?